When scrolling through my social media feeds, nothing brings a smile to my face faster than seeing a fired up Weber grill. My smile widens as I discover the picture doesn’t originate here in America, but rather somewhere else in the world. It’s pretty amazing to see my “Internet friends” crafting meals on their Webers and the countries represented just continues to grow: New Zealand, Germany, Romania, Netherlands, Canada, Mexico, Germany, Australia, England and France, just to name a few! Truth be told, I’m a little envious of my BBQ friends in New Zealand and Australia for as winter sets in here in Ohio, they are rolling into summer. I’m shoveling snow and freezing by the grill, and they are firing up kettles on warm and sunny nights. Thankfully, I have their adventures to tide me over to spring. Of all the countries grilling, I hold one in particular high esteem: England. It is the birthplace of my wife, Zoe, and home to her parents. 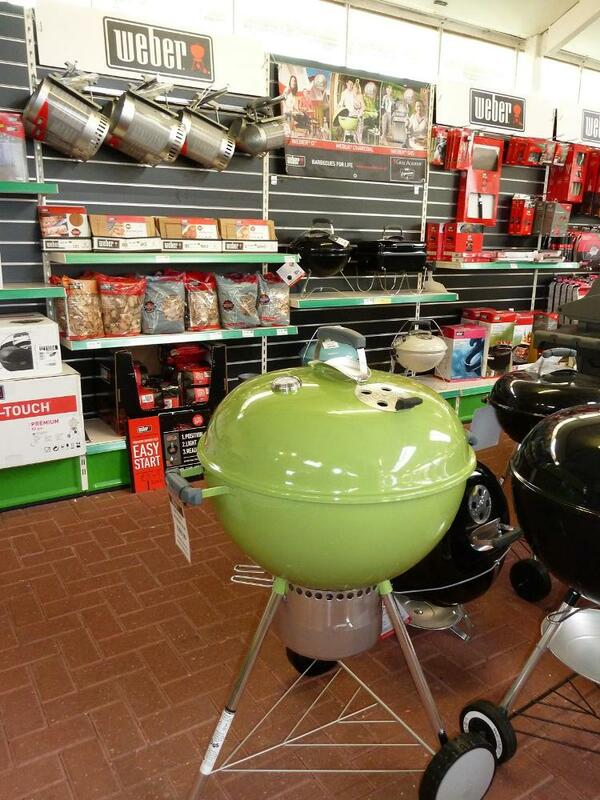 Just how big are Weber Grills, or Barbecues, as they are known in the UK? Well, big. Consider this. Zoe’s family lives on the Isle of Wight, a small island located off of the south coast of England. The Isle, a popular vacation spot for the English, is only accessible via boat. 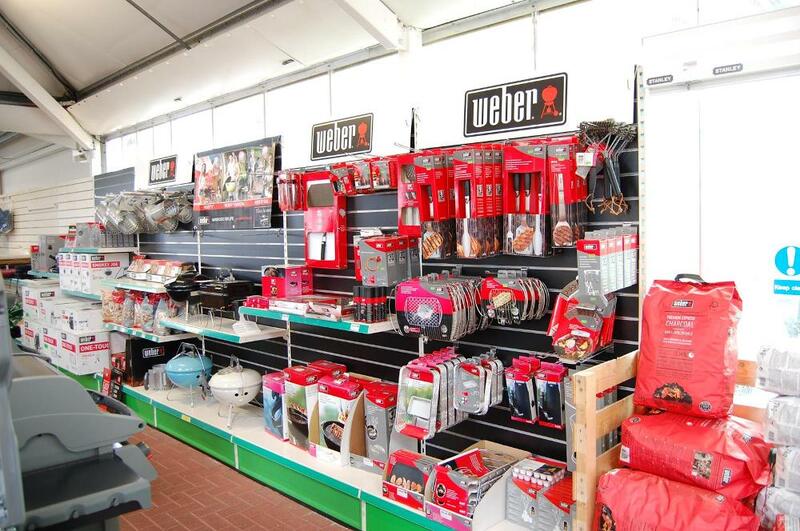 While remote, this hasn’t stopped local island garden shops from stocking up on Weber kettles, gas grills, and accessories. Several years back we walked into a store and I was literally blown away by the size of the display. There were Webers...everywhere. Seven years ago, when Zoe’s dad bought his Performer, he had to have it shipped in. Today, he can get one down the street. In preparation for this post, I called Honnor and Jeffrey’s Garden Centre on the Isle of Wight to get permission for Zoe’s mum to stop in and take some photos of their awesome Weber display. While an American calling an English garden centre might seem a little off, there was nothing to worry about. Everyone speaks Weber. No matter where in the world you are.